What is the most critical procedural challenge today’s organizations face? Businesses must understand what their Continuous Process Improvements can do to increase revenues, profitability, shareholder equity, effectively manage costs, operate efficiently day-to-day, and provide “world-class” quality service and customer satisfaction … from a current execution perspective and a future strategic and tactical outlook! However, Process is vulnerable to being only a repetitive and non-viral activity without highly effective management of People through well-informed and collaborative Leadership. The combining of highly effective Process and well-connected People, who are highly engaged, through effective Leadership into an integrated system is a requirement for businesses that seek to sustain success not only today, but well into the future. At People * Leadership * Process Solutions, Inc. ™ we value the Power of Process, as a Key to Success in helping People and Leadership tactically implement the well-defined strategies to achieve and sustain financial and functional success. With highly effective and continuously improved Process resources and tools enlightened People and Leaders will attain and preserve the defined and required outcomes and their customers, employees, and enterprises will thrive! The Process Key to Success is the Third Element that People * Leadership * Process Solutions addresses, when assisting organizations with self-enlightenment through the utilization of our Process Assessment Tool. 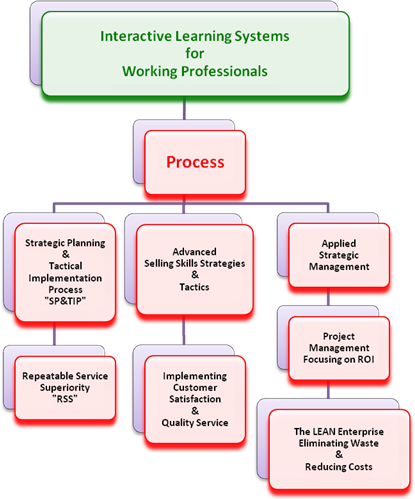 We invite you to take a sample assessment of the Process Improvement realities within your organization by going to the Assessment Tools “link” in this website and clicking on assessmenttools@plpsolutions.com to request further information relative to either a personal assessment or an organizational / departmental assessment. A member of our experienced and professional assessment team will contact you with further information. You will receive an analysis of the “findings” and “recommendations” to proceed with the continuous improvement of the Process Component in today’s challenging and ever changing business environment. To access further information relative to Process Improvement Curriculum, please contact us at processcurriculum@plpsolutions.com for details relative to the syllabus for each Process Improvement Interactive Learning Systems courses as shown below.